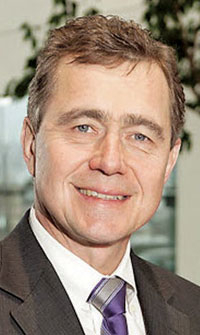 Opel CEO Stracke will speak at the ANE Congress. The alliance between General Motors' Opel subsidiary and PSA/Peugeot-Citroen will lead to more sharing of platforms and technology between the two companies. That partnership, and plans to broaden that cooperation, will be the topic of conversation for Opel/Vauxhall CEO Karl-Friedrich Stracke and PSA/Peugeot Citroen CEO Philippe Varin at the 15th annual Automotive News Europe Congress June 20-21 in Monte Carlo. Stracke and Varin will speak on June 21. Among the scheduled speakers are Renault Chief Operating Officer Carlos Tavares; Stefan Ketter, Fiat and Chrysler Group chief manufacturing officer; Barb Samardzich, Ford of Europe's vice president for product development; and Volvo Cars CEO Stefan Jacoby.